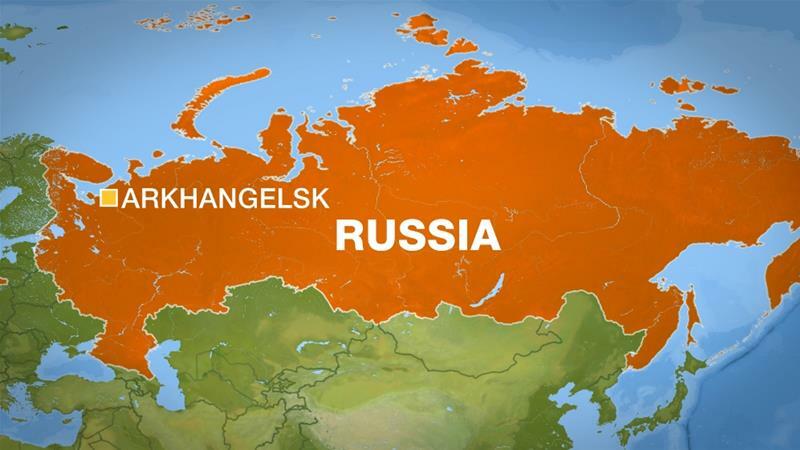 One person has been killed and three others injured after an explosive device went off inside a building housing the country's security service in Arkhangelsk in northern Russia. The device went off around 06:00 GMT on Wednesday in the Russian Federal Security Service (FSB) building in the centre of the city, more than 1,000km north of Moscow, Artyom Botygin, a spokesman for the regional governor, told AFP news agency. "An explo sive device went off," Governor Igor Orlov said. "One person was killed and three others were hospitalised." Orlov said it was too early to say whether this was a suicide bombing. "Things are very serious," he said. "We are taking measures to increase security of all public and state buildings in Arkhangelsk region," he said. A FSB representative for the Arkhangelsk region confirmed the explosion to AFP, but declined to provide further details. Russia's National Anti-Terrorist Committee confirmed the blast, but did not immediately provide details. Rescue services and law enforcement officers are currently working at the scene. Security measures in the region have been s trengthened.